4th of July Outfits! - SweetTartStyles. What better way to celebrate than with BBQ, fireworks, laughs, cold beverages, and . . . the perfect outfit! It's a hot one out here in the 956, and with the temperatures in the triple digits, the only thing on our minds is something to keep cool in! I love the usual 4th of July attire with flags all over you and stuff, but I personally, like to do my own twist on our nation's independence. I love to wear the colors of red, white, and blue, but in my own way. 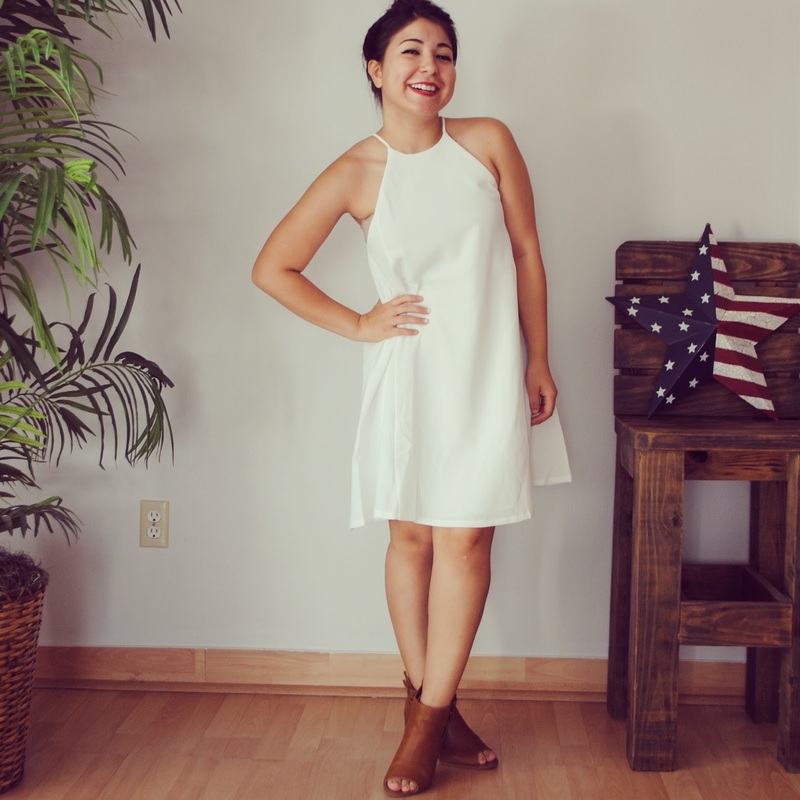 So here are a few of my favorite looks that can be sported this holiday, whether you are at a backyard BBQ, parades, or at the beach, this looks will be fresh, cute, and patriotic. This one is easy enough to show your 4th of July spirit, while also being stylish and cute. 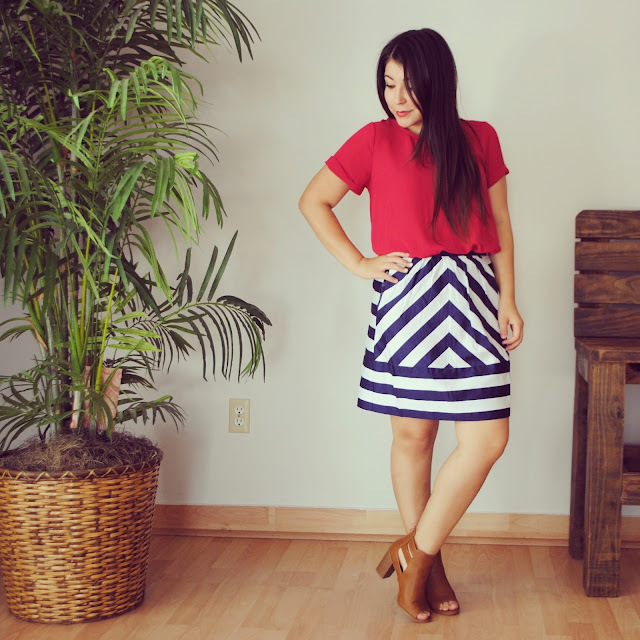 I love the comfort of this skirt, and the sheerness of the shirt. Both are perfect to keep breezy and show that patriotic pride. I paired with some open toe booties, but they would also be great with flats, or sandals! For this outfit, I went with the white, of red, white, and blue. These shorts were so comfortable and cute to pass up, so I had to toss them into this mix. This one is perfect to add that touch of red via some lipstick, it's such a perfect outfit not only for 4th of July but all summer long! This dress is the perfect mix of red, white, and blue, while looking classy and sophisticated! I love this one for a backyard BBQ, and ice cold lemonade in your hand. This dress is so versatile for 4th of July, you can wear red lipstick, blue heels, red heels, blue jewelry. . . the possibilities are endless! I love the flirty little flip it has to it towards the bottom, so perfect for the beach to watch fireworks! It's also super comfortable, and light-weight. I love this outfit for a 4th of July parade with the family. The top was my absolute favorite, and I'd probably want to use it all summer long. This one is great with red jewels, and I did a red lip to bring out that pop of red. Have an amazing 4th of July friends! Be safe and fashionable!